Al Gore would love this guy…he even sweats green! Doctors in China admit they are baffled after a man began to perspire green sweat. 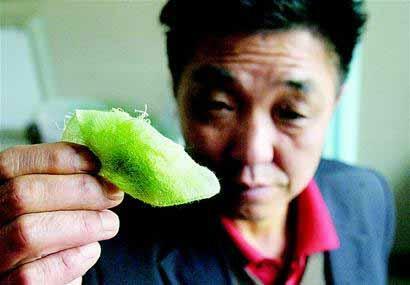 Cheng Shunguo, 52, of Wuhan city, says his sweat turned green in the middle of November. A complete medical workup found no abnormalities and he seems in perfect health. December 5, 2007 Posted by oldstersview | People	| Comments Off on Al Gore would love this guy…he even sweats green!